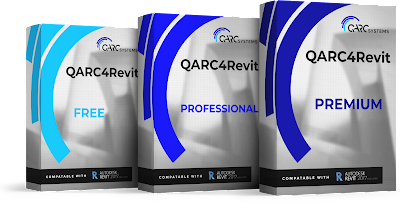 QARC4REVIT IS A SUPPORT SYSTEM FOR ARCHITECTS AND BUILDING DESIGNERS. It boosts a practices ability to produce quality design, documentation and saves your practice time and money. 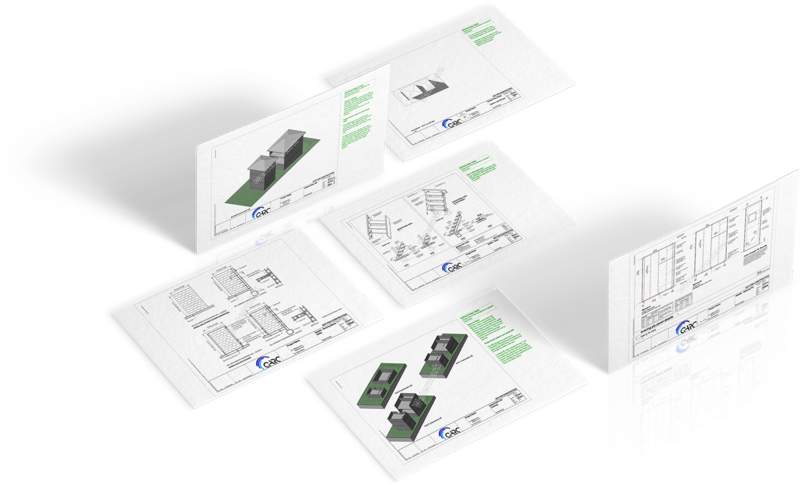 It is a Plug-in sitting wholly within the Revit environment. 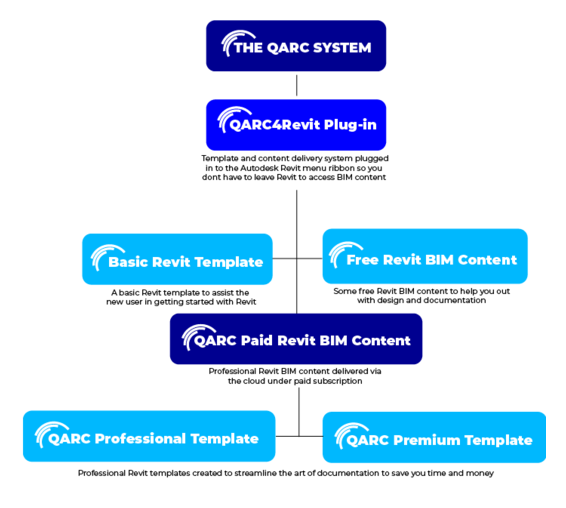 The QARC revit template system makes it possible for every revit user to efficiently model and consistently produce quality documentation. 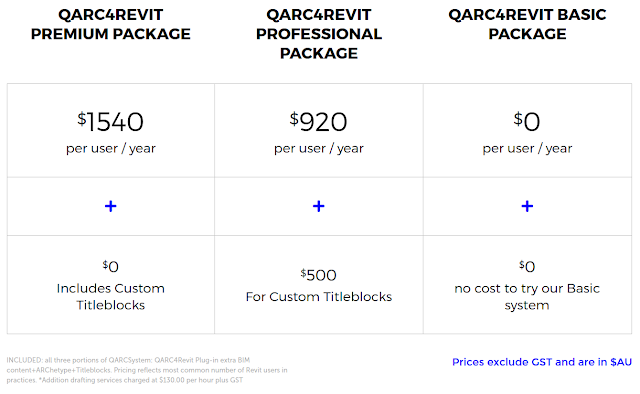 Our Autodesk Revit ® QARC4Revit Plugin inserts a content delivery window that can be docked with your properties browser, giving you access to a continuously growing library of content, all schedulable and suitable for the Australian/NZ markets. All our content is completely renderable which will save you time in creating realistic 3D views. Download the free Plugin now to access the library of free Autodesk Revit ® BIM content and a basic template. Purchase our professional version of Autodesk Revit ® Template system to leap you forward into Advanced Revit use and professional Autodesk Revit ® BIM content. Or purchase the Premium version of the Autodesk Revit ® Template system to access all the technology this complex software can deliver. Note: QARC4Revit requires full Revit, RevitLT cannot host plug-ins. 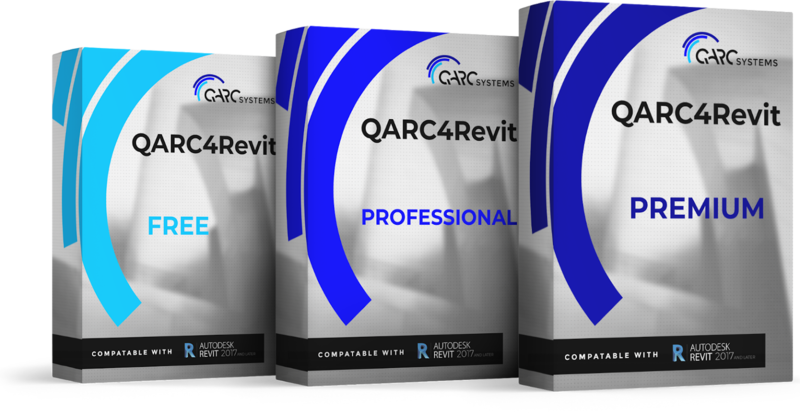 QARC4REVIT is brought to you by QARC Systems. Pricing is as follows.